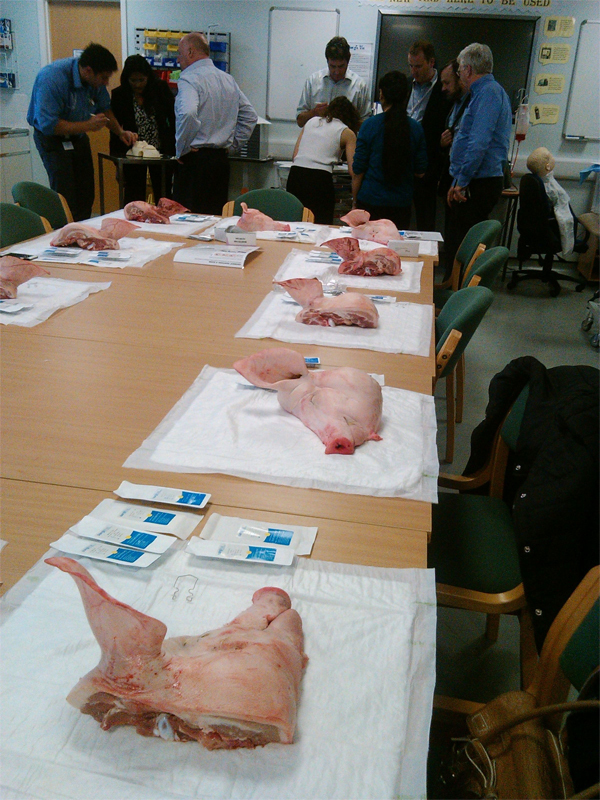 This was an exciting learning opportunity to perform an enucleation off a cadaver(porcine). This was supervised by our Oculoplastics/Orbits consultants and proved to be a great way to learn how to do a procedure that is increasingly becoming more uncommon. to held over 6 weeks spaced throughout the year. c. this was an excellent opportunity for junior doctors or senior medical students who were picking up an interest in ophthalmology and wanted to learn and experience microsurgery without having to pay hefty course fees. This free half day event was taught by registrars. 1. Duke elder revision course for Cardiff and Swansea medical students?